We’d love your help. 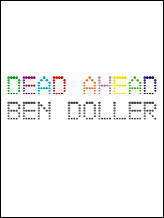 Let us know what’s wrong with this preview of Dead Ahead by Ben Doller. Ben Doller's third book troubles the blast zone where evolution and manifest destiny collide. To ask other readers questions about Dead Ahead, please sign up. I loved this collection of work. Ben really pushes boundaries and leaves you in a new place. I'll read it again, for sure.